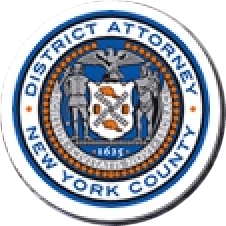 Manhattan District Attorney Cyrus R. Vance, Jr., today announced the indictment of JOHN CISNEROS, 44, a tax services professional, for preparing fraudulent tax returns and defrauding the New York State Department of Taxation and Finance. The defendant is charged in New York State Supreme Court with Criminal Tax Fraud in the First, Second, and Third Degrees. According to documents filed in court and statements made on the record in court, between 2009 and 2014, CISNEROS maintained a tax preparation business in Manhattan and prepared more than 1,000 fraudulent tax returns for his clients, who significantly underpaid their taxes, received refunds to which they were not entitled, or both. In many cases, the defendant counseled his clients to create corporations or partnerships if they were not established already and, in some instances, CISNEROS created entities for his clients even when there was no evidence of existing or actual business. Using closely held corporations and partnerships, the defendant transferred income from his clients’ personal tax returns and negated the income by inflating deductions and expenses, which registered as large losses on the tax returns and fraudulently lowered his clients’ incomes and tax liability. In some cases, the defendant also generated additional refunds for clients by using a similar method to prepare fraudulent amended returns for prior years going as far back as 2006, even though the named entities did not exist during the given years. Beginning in 2012, CISNEROS’ clients were audited by the New York State Department of Taxation and Finance. During these audits, the documentation provided by the defendant did not justify the losses claimed. In 2013, CISNEROS admitted tax liability totaling more than $500,000 on behalf of more than 80 of his clients to the New York State Department of Taxation and Finance. In the meantime, other clients paid the assessed liability because they had come to believe that the defendant had misled them, or because they consulted other tax professionals who determined that the tax returns prepared by CISNEROS were fraudulent and improperly handled. As a result of CISNERO’s conduct, the New York State Department of Taxation and Finance was defrauded of hundreds of thousands of dollars each year, amounting to more than $10 million in estimated fraud over a five-year period. Assistant District Attorney Maurice Mathis is handling the prosecution of the case with the assistance of Assistant District Attorney Lisa M. White, under the supervision of Assistant District Attorney Kim Han, Deputy Chief of the Tax Crimes Unit, Assistant District Attorney Peirce Moser, Chief of the Tax Crimes Unit, and Executive Assistant District Attorney David Szuchman, Chief of the Investigation Division. Senior Accountant Investigator Peter Persampieri, Administrator Almida Guzman, and Paralegal Quinn Cronan provided assistance with the investigation. District Attorney Vance also thanked the New York State Department of Taxation and Finance’s Criminal Investigations Divisions for its cooperation and assistance with the case.